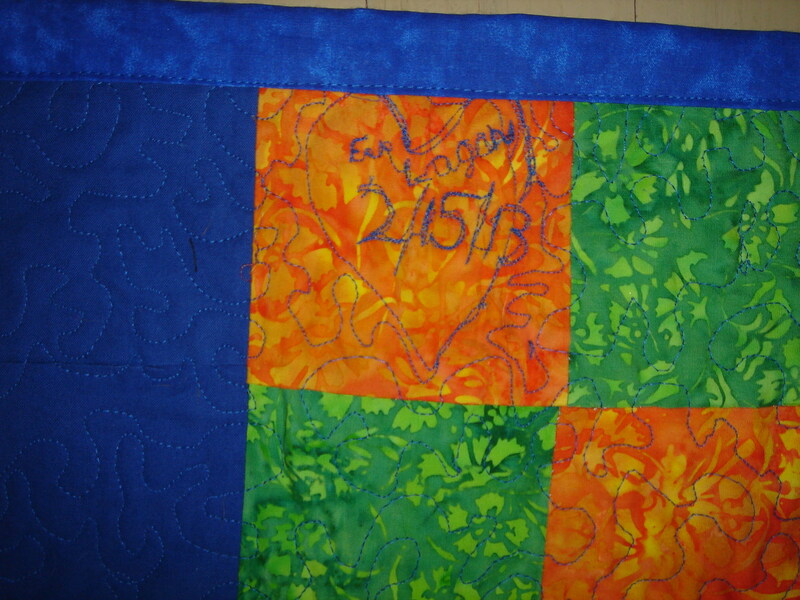 This was my first quilt and I was surprised that it shrunk as much as it did after it was washed and dried. Final size approximately 56×72. ← for you, yes YOU! i LOVE this. even the cross town part. and HOW DID THE BOY GET SO TALL???? but you know, there’s a whole world of room for border border border….? i love the colors, the joyfulness, his smiling eyes. hi Grace. 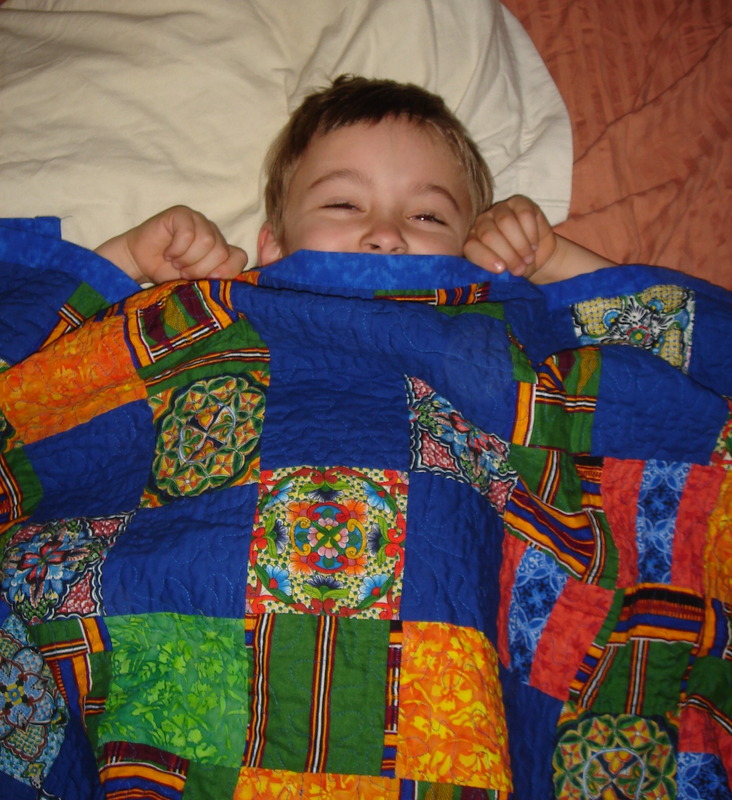 great idea about adding borders–growing the quilt as the boy grows. he’s really not so tall–i think the angle of the morning after shot makes him look longer than he is. but yes, his eyes do smile! 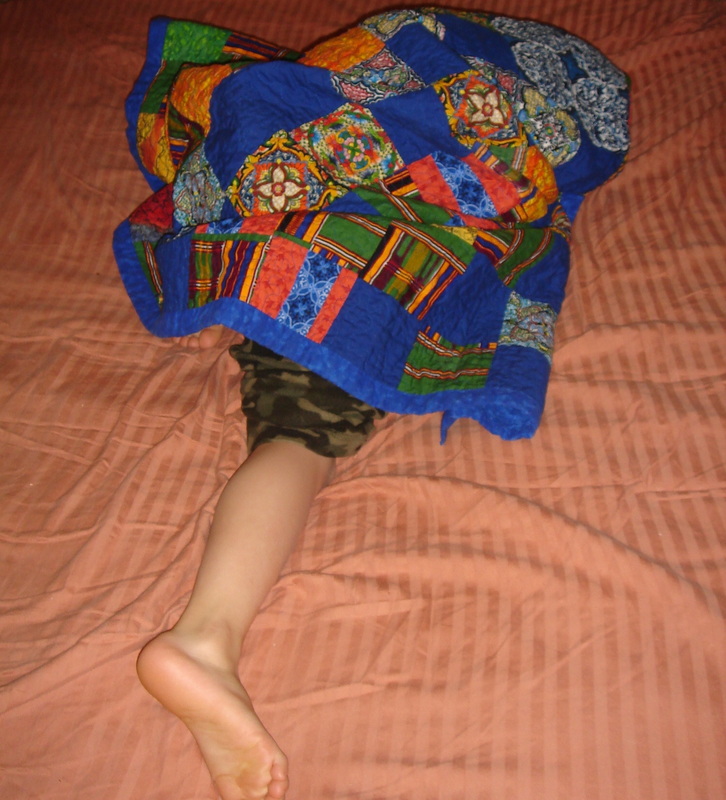 boy under quilt makes every second of effort worth it, right?! !